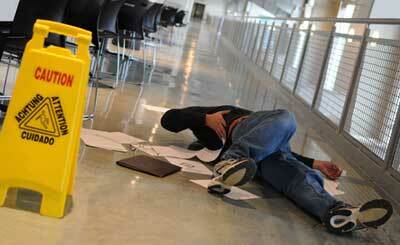 How long after an accident at work can you make a claim? People tend to put off claiming for an accident at work, maybe to concentrate on their recovery, or maybe because they want to immediately confront their employer. Maybe you just want to concentrate first on getting back to work. The day-to-day living that tends to accompany being out of work may prevent the feeling that you should claim compensation. Whether you can return to work or even recover depends obviously on the seriousness of the injury. It is usually the little injuries that employees feel more uncertain about. Where do you stand? Were you really in the wrong? Could you just leave it? Would challenging your employer leave you out of work? It might take a little time to work out what the best next steps are. So how long is too long? In the UK, the limit for making a claim is three years from the date of the accident, or three years from the date an injury is first discovered. This depends on when the injury was diagnosed. Although a claim can take up to three months, you shouldn’t be put off claiming if the injury occurred three months before the three year cut-off date. However, this is not always the case. Some injuries might be caused over a series of months or years due to a lack of training or equipment being less than standard. In these circumstances, solicitors tend to work from when an injury was diagnosed as there is no specific accident date. If there was more than more one injury, you can only claim for the injury that was diagnosed less than three years ago. The items which may be claimed for are any loss of earnings or bonuses, medical treatment, any expenses needed to treat the injury, and parking expenses at a hospital. If you want to claim, the best thing to do is seek out a personal injury solicitor. It is in your interest to consult them as quickly as possible; not only because of the three year rule but also the quicker you make your claim, the quicker you’ll get your money. It also helps if the medical and other evidence is still present. It is the responsibility of any employer to make sure their employees are safe in the workplace; in other words, to do everything in their power to prevent injury through faulty equipment or lack of training their employees. Following an accident at work, the best thing for your fellow employees and visitors to the workplace to do is to follow up on your case to stop injuries and accidents happening again. If you believe you have a grievance, it is your right to take out a case and you are free to consult a solicitor without necessarily having to follow up the matter further. Ultimately, it is up to the courts to decide whether or not you have a case. This entry was posted in Work Accidents on 3rd May 2016 by pinnacleadmin.